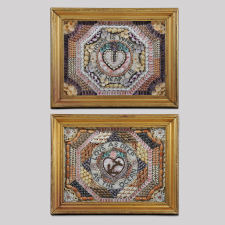 Shells arranged in shadow boxes with gilt frames. 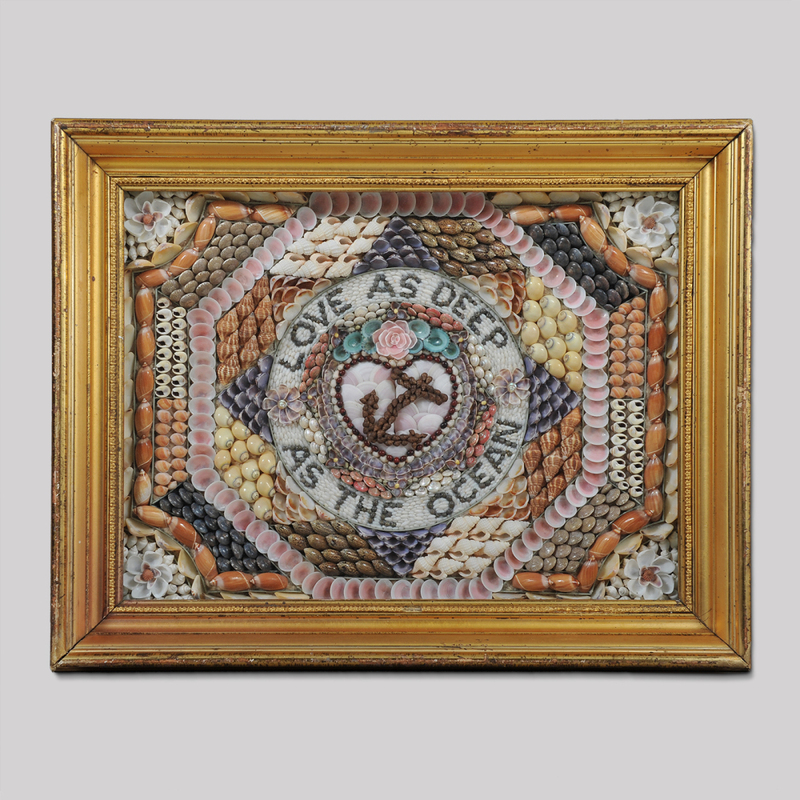 Condition: Excellent, minor imperfections to frames. 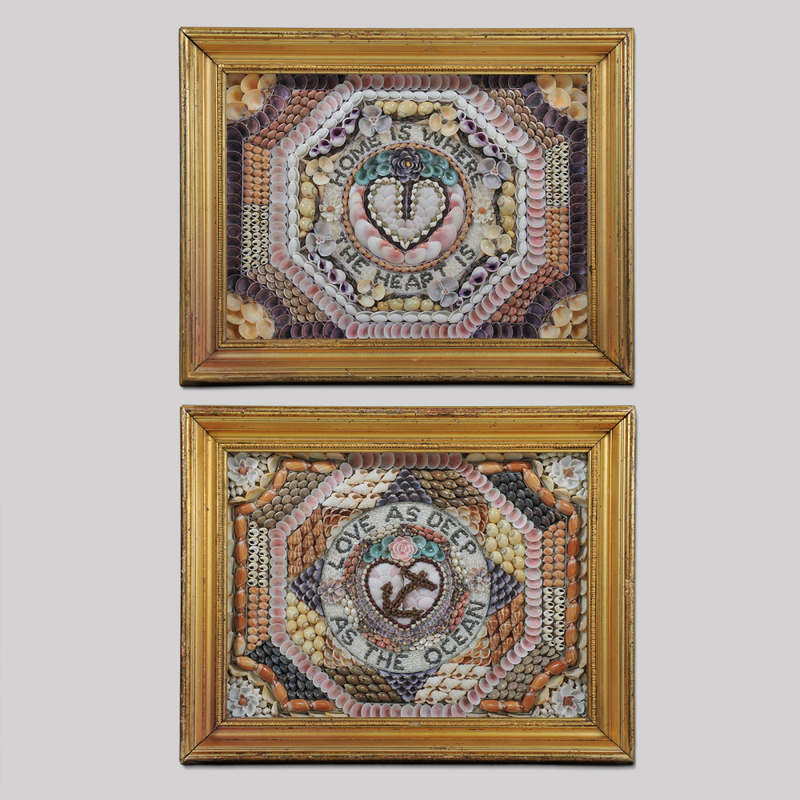 These mosaics were created with shells in geometric patterns and glued to the backboards of the case while being protected by glass and framed with period gilt frames. 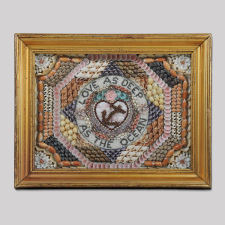 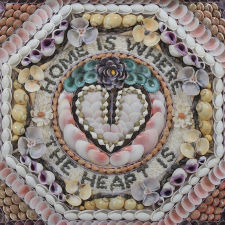 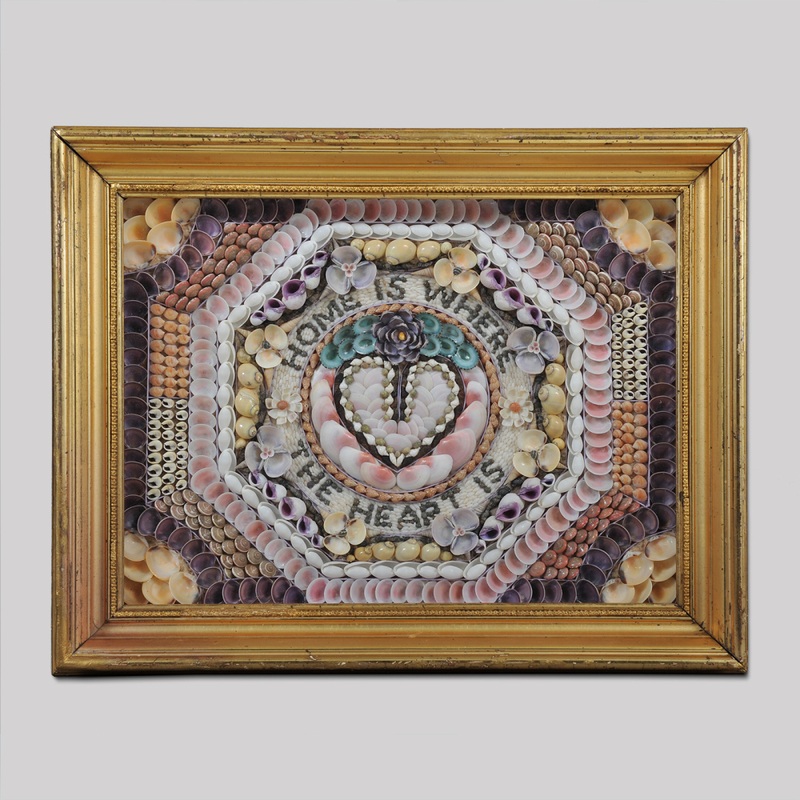 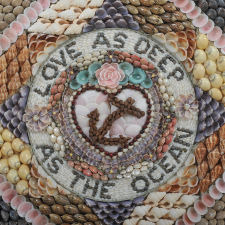 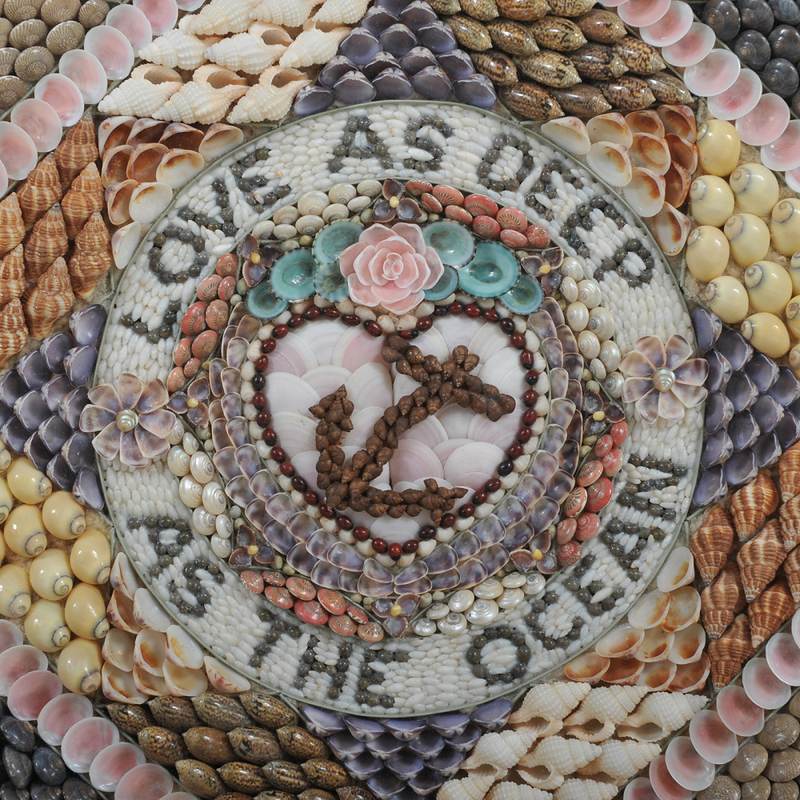 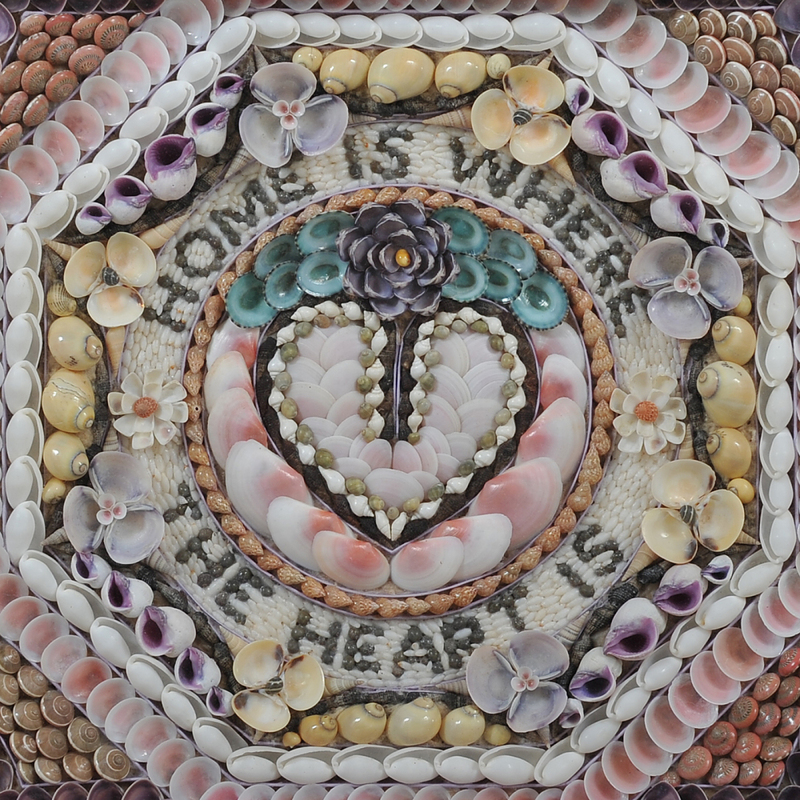 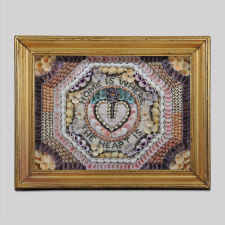 They represented tokens of love and were given by sailors to their loved ones after returning from sojourns at sea.